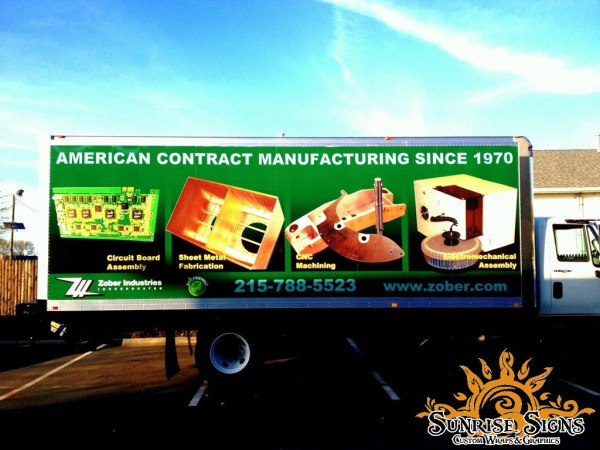 In 1970 Joel Zober started Zober Industries, Inc. in Langhorne, PA and its initial beginnings were that of a small machine shop. Over the years, Zober Industries added much to their facility. In 1973, a sheet metal fabrication department was added and by 1975, Joel Zober moved the company into a 20,000 square foot facility and relocated to Croydon PA in Bucks County. 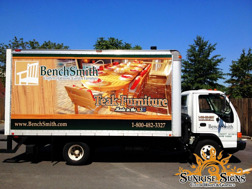 BenchSmith Outdoor Furniture Delivers With Box Truck Wraps in Bucks County! Since 1992, BenchSmith has been building custom outdoor furniture loaded with quality and expert craftsmanship. With a mission to offer outdoor teak furniture that is both long-lasting and timeless, BenchSmith has continued to provide classic designs based on individual homeowner needs. 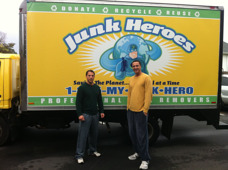 Junk Heroes Recycles Isuzu Box Truck in Philadelphia With Box Truck Wraps! Located on Synder Avenue in Philadelphia enters a business with a real eco-friendly idea—Junk Heroes! This isn’t the first business venture for co-owners Richard Symes and Ian Santangelo. They embarked into their “green” endeavors in 2007 by staring a cleaning service called ClenzPhilly that only uses environmentally friendly products. After that, they branded a line of non-toxic, biodegradable and odorless cleaning products called M20 Magic Water.